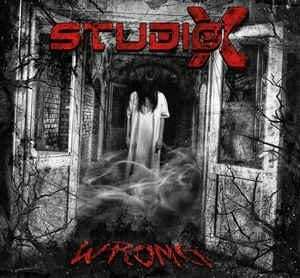 Background/Info: Australian Studio-X strikes back with the fifth full length album in the project’s history. After having released two albums together with Simon Carter, and one together with Technoid, mastermind Lawrie Bayldon now joined hands together with Bridgette Collins. Notice by the way this album is only available in a digital format. Content: “Wrong’ has been announced as a ’destabilizing’ work. It for sure refers to the somewhat different orientation of the work, which is directly revealed at the first track. Studio-X remains driven by hard technoid sounds and arrangements, but takes off in a rather raw body-pop way to progressively revisit its techno approach. The songs are raw, sometimes experimental-like and revealing vocal lines. That(s for sure another main evolution with previous work. + + + : “Wrong” is a more diversified work, which remains carried by impressive- and banging techno assaults. 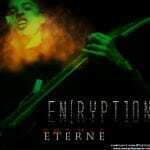 It also remains a project with a very own approach and I especially like the unpolished, raw sound treatments. The opening song “Asylum” is a surprising, but cool cut. The Studio-X fans will be probably more pleased by songs such as “Disease”, “Motivation” and “Windows”. – – – : Studio-X remains a real sonic challenge; too techno-driven for the underground electro scene and too dark and progressive for techno heads. It also remains one of the most unique formations from the Alfa Matrix roster, but I like this work. Conclusion: “Wrong” appears to me as one of the most varied and maybe personal albums of Studio-X. The tracks feel like having been conceived in a techno laboratory from the future. Best songs: “Asylum”, “Slave”, “Disease”, “Motivation”, “Approach”.